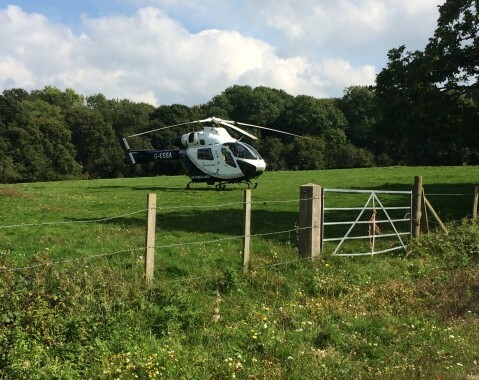 The Kent, Surrey and Sussex Air Ambulance helicopter has again been working in the Uckfield area. It was called at 2.30pm on Tuesday to help treat an injured woman driver following a road accident. South East Coast Ambulance Service and East Sussex Fire and Rescue also attended. The air ambulance landed in a nearby meadow and members of the Helicopter Emergency Medical Service (HEMS) assisted at the scene. The woman was taken to the regional major trauma centre at the Royal Sussex County Hospital, Brighton, by road, suffering from neck and abdomen injuries.